Why buy an SUV, when a regular estate car does the same thing - only better? 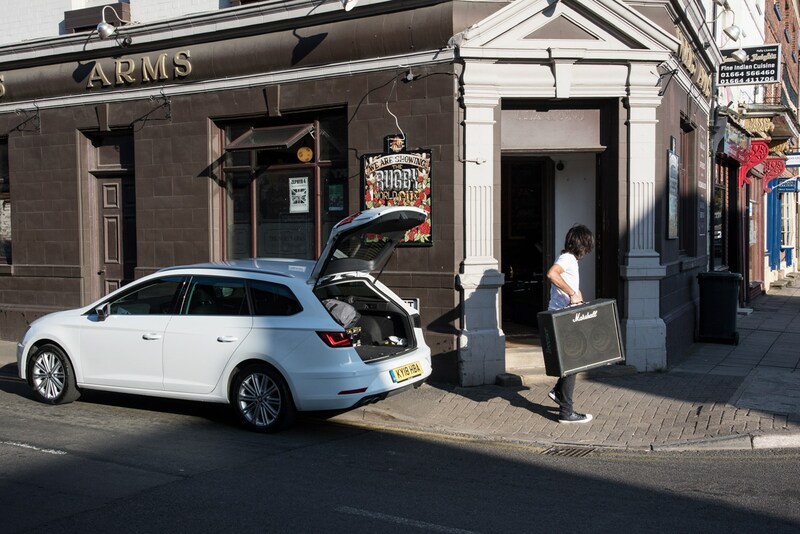 Welcome to the SEAT Leon ST, perfect family car, photographers' workhorse, and roadie wagon for the band equipment. 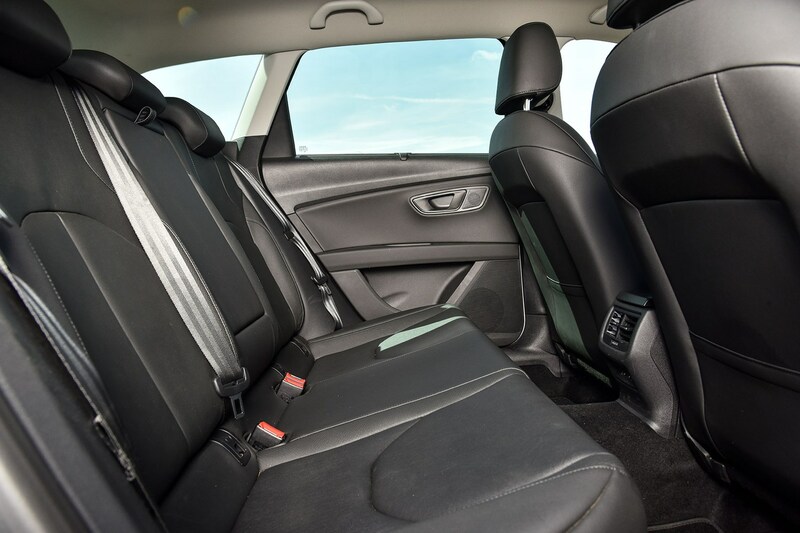 The Leon ST is in SEAT’s Xcellence Technology spec, so it gets plenty of gadgets and plush leather. This car also has the optional and excellent SEAT Sound System, space saver spare wheel and upgraded navigation system. Best of all, it has the 150hp 2.0-litre TDI diesel engine, which is pretty nippy even when fully loaded while also hovering around 50mpg and a decent range of 500 miles per tank. Such a pleasant change from the mid 20’s mpg of the Subaru Forester and its 300 mile range. It’s already piling on the miles, and makes light work of any big journey with its comfy seats, long range between refills and great stereo system. 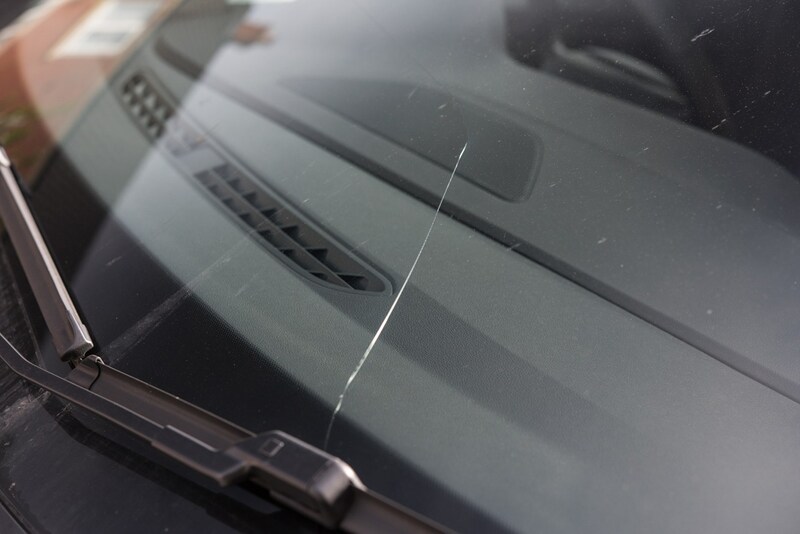 Sadly, it’s currently taken a short trip back to SEAT to replace the windscreen after my hitting a huge pot hole, causing a rather large crack to creep across. The SEAT continues to excel at everything I can throw at it. Long journey? No problem. Gig with the band? Fine. Trip to the tip? Easy. It really is great at what I would guess most people would ever need a car to do. There's plenty of space in the back for my children, but I’ve not tested the rear seats myself yet. 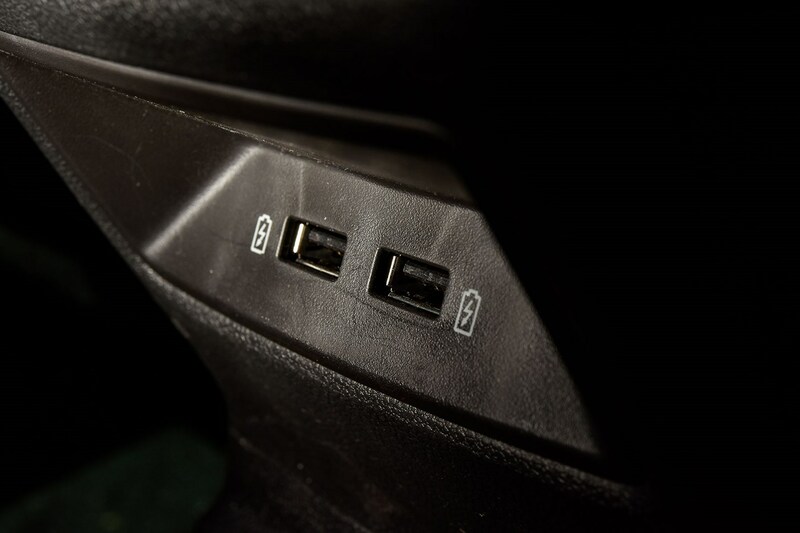 One thing that they did mention, though, is the lack of 12v sockets in the rear to power their DVD players. It has two USB sockets, and a single 12v socket in the boot, but it’s not quite close enough to reach both sides of the car with the short lead they have. 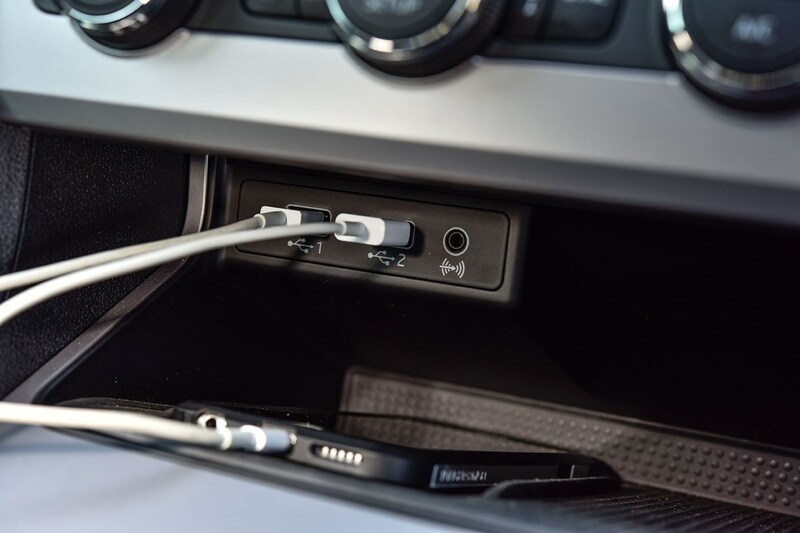 There are two USB ports in the glovebox, too - allowing a smartphone and a media source to be connected at the same time. 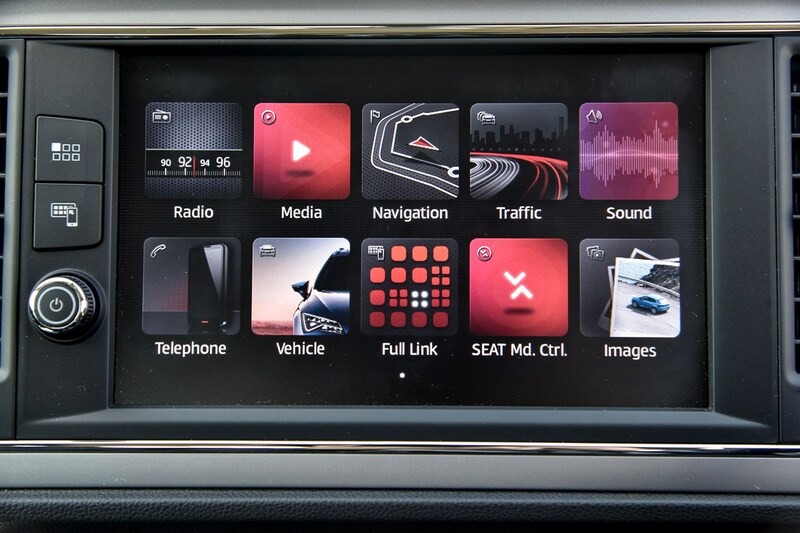 The Leon’s infotainment system is very good, but does have its faults, especially when my phone is plugged in and using Apple CarPlay for my calls, and the SEAT system for the navigation or DAB Radio. When answering a call or text message, the screen doesn’t automatically return to the Navigation or Radio screen, which means a couple of extra prods on the screen to get back to where you were. 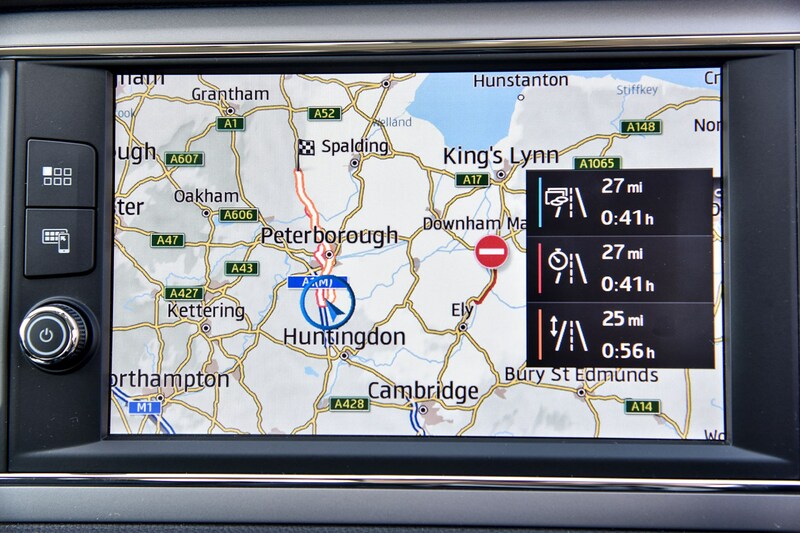 Another slight issue with the navigation system is the amount of time it takes to calculate and display your chosen route out of the three that it offers each time. Typically, it takes about 2-3 minutes to start with the route that you choose, which if you’re running late, seems like about 10 minutes! 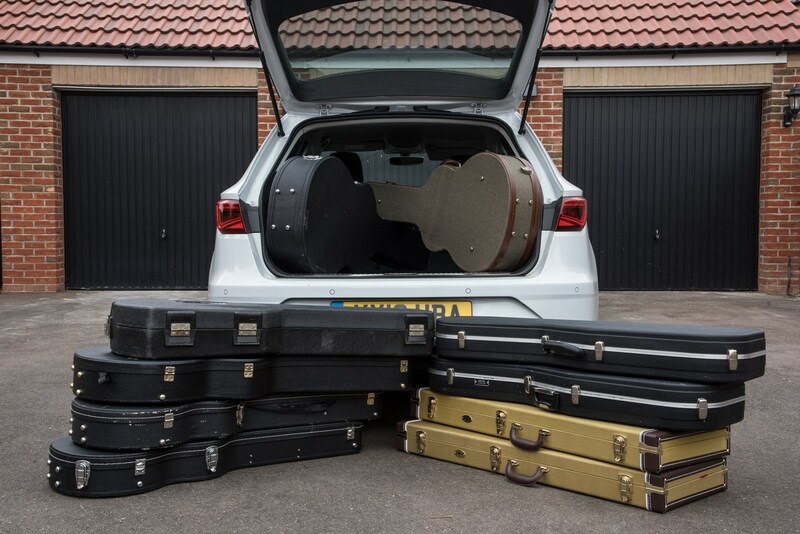 How does our car fare when loaded up with guitars? 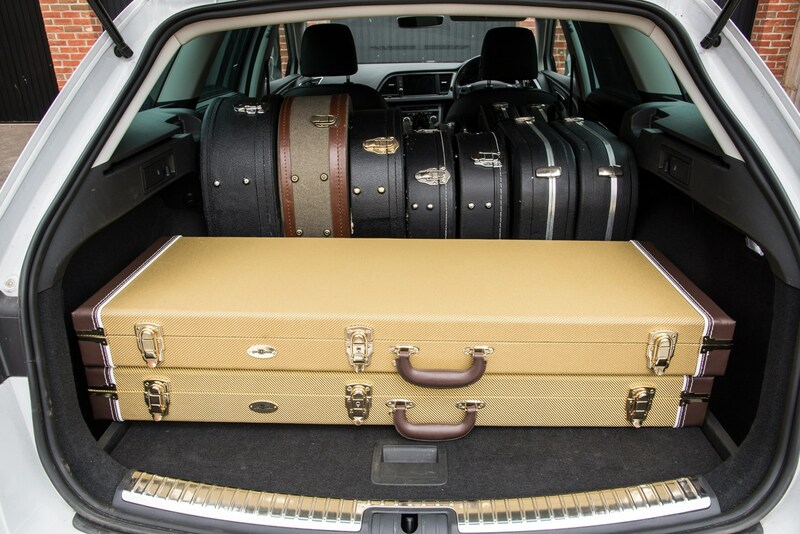 Most people buy an estate because they want that extra load-lugging space that the bodystyle gives. Personally I have no idea what 1,470 litres of space practically translates to in the real world, so I thought it was time to quantify that by filling the space with everyday items that I might buy on a typical (post lottery win), shopping spree. In a guitar shop. 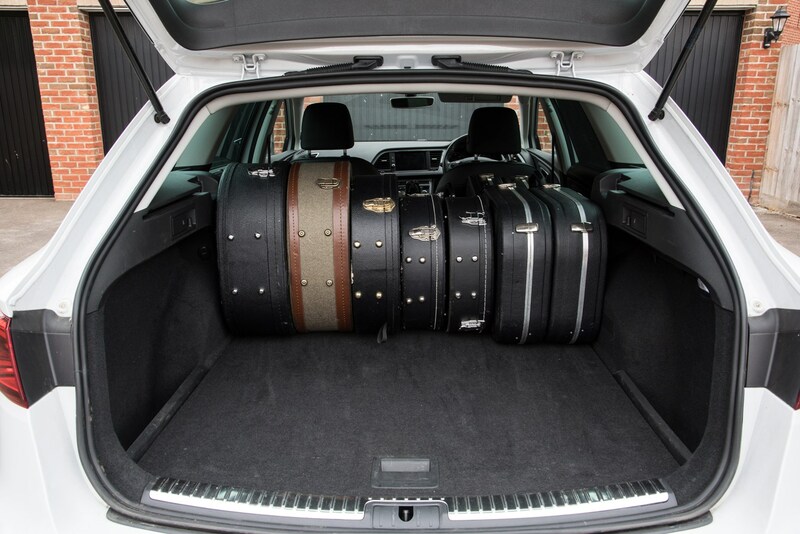 With the rear seats laying virtually flat when in their down position, the Leon makes light work of fitting my two jumbo acoustic guitar cases and five of my electric guitar cases, fitting perfectly with no room for movement while driving. 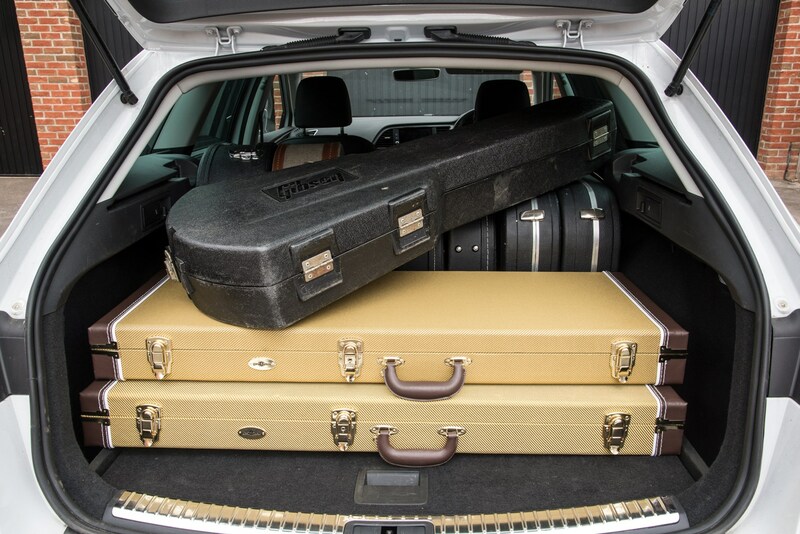 Behind these, in the boot space that you’d have when the rear seats are up, I was able to fit another two guitar cases, although they did have a lot of room to move, so would need extra padding to stop them sliding about. How does our car stack up against its rivals in monthly cost? 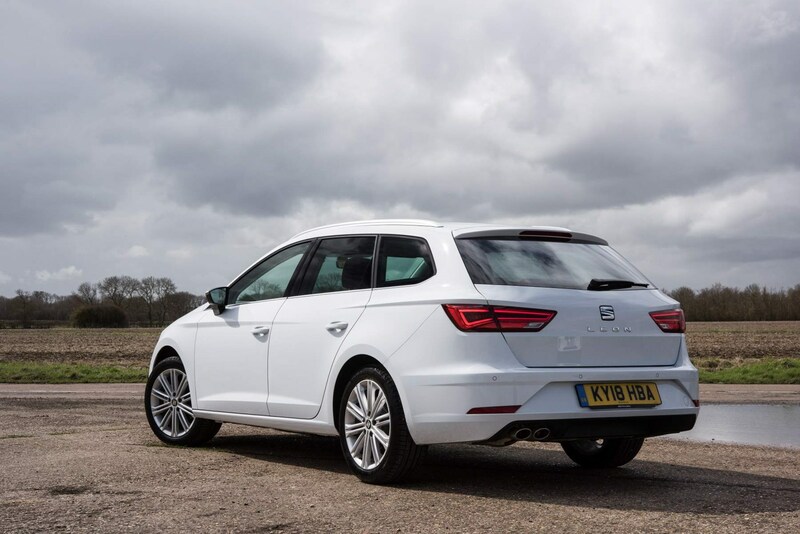 Our SEAT Leon ST is a stylish and sharp-looking estate car but no matter how hard the Spanish manufacturer’s designers work, people still think of it as a better value VW Golf. 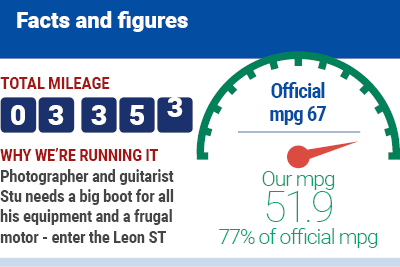 While that may be true (as we will soon expand upon), the Leon offers quite a bit more than just cut-price monthly payments. Although, it does offer those too. How expensive is the SEAT Leon ST? 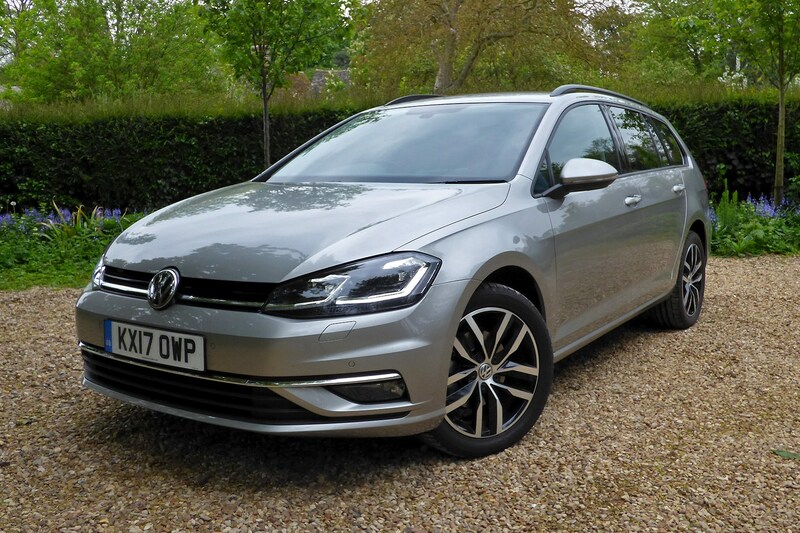 Spec up a car like ours (2.0 TDI 150hp EXCELLENCE Technology) and you can expect to pay £400.74 a month, when based on a PCP deal of 36 months, £3,000 deposit, and 10,000 miles per year. 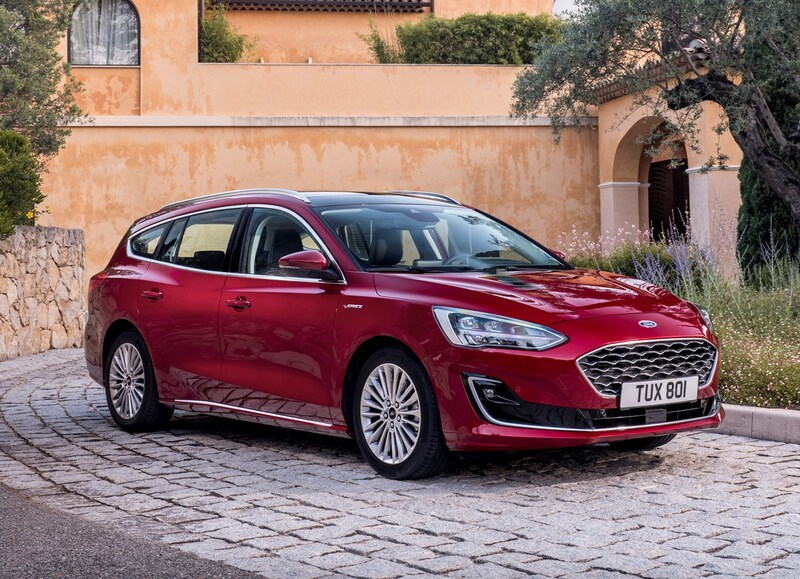 You actually get a £3,500 deposit thanks to a discount applied just for test driving a car, such is the confidence of SEAT that you will go through with the deal. How does that compare to rivals? 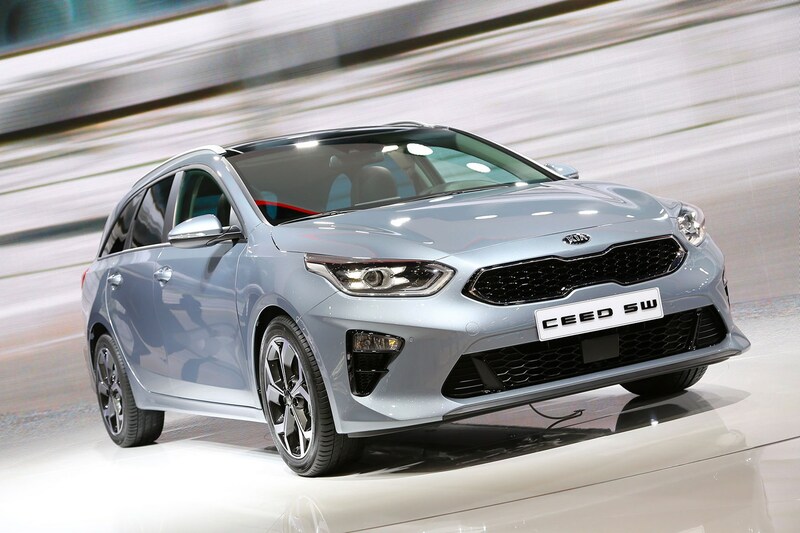 We reckon the Leon is a great all-rounder in that company, offering a decent drive like the Focus, good quality interior like the Golf and the Ceed’s ease of use. 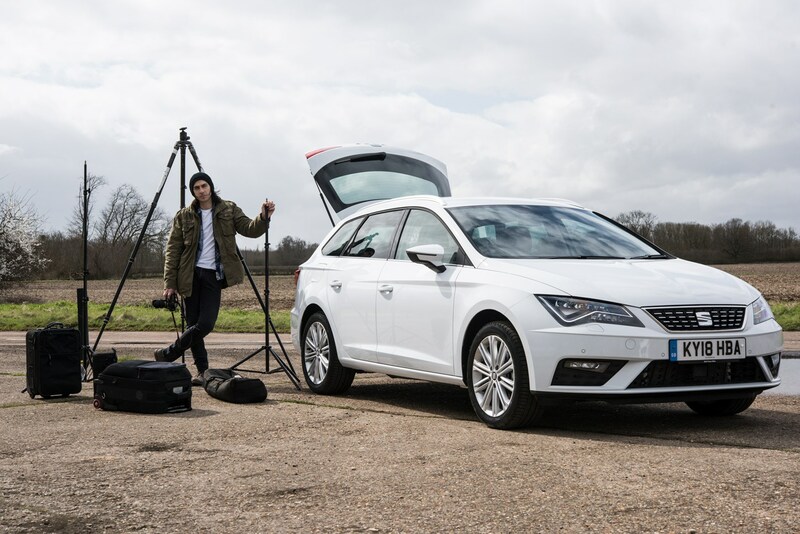 Did you know the most popular review for the Leon range is the SEAT Leon Hatchback review.